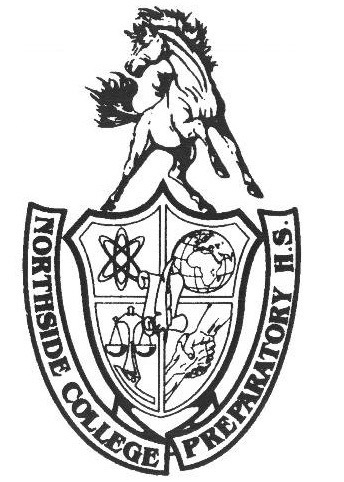 Every year, Northside’s juniors begin the college process. This starts with Northside’s annual College Planning Night, where students and parents can learn all about the process from the school counselors. This year, it was held on Tuesday, Feb. 6, for the Class of 2019. There were two presentations: one in the lunchroom for Spanish-speaking families, lead by Ms. Marina Medina, Counseling Department, and one in the auditorium for English-speaking families. The event kicked off just past 7:00 PM, with Mr. Patrick Tassoni, Counseling Department, presenting a quick overview of what the next two years should look like. He mentioned that Northside, as a college prep school, puts students in the “college pipeline” due to the strong academic environment that prepares students not only standardized tests, but college-level courses as well. He then said that despite this, work still needs to be done by students. He outlined what students should be doing in their junior year, which includes reflecting on what you want to do, going on college visits, doing well in your classes, and planning your schedule well for next year. He also recommended finding a college that fits you personally, not just one that has a good reputation. He stressed the importance of size, location, and subject areas and their importance to you. He also recommended visiting the website “College Scorecard,” which allows students to look through outcome data for universities, which includes retention rates, graduation rates, job placement rates, and loan default rates. Mr. Tassoni also reminded juniors to sign up for a college conference, which is a time that allows students and their parents to meet with their respective counselors to talk about the college process. Another important piece of the process was briefly mentioned: loans and tuition. Students were reminded to factor in application fees, family contributions, and scholarship money when it comes to choosing a university. Tassoni recommended that students see tuition as an investment into one’s future. Grades, another important factor, were discussed. He stressed that grades matter most to an admissions officer, and colleges want to see upward grade trends in a schedule that balances rigourous APs with other courses. The final important part of the process, standardized testing, was of course mentioned. Parent’s were informed that Northsiders are taking the SAT test on April 10, and that there is plenty of free review material available online. Ms. Katie Matthews, Counseling Department, then took the stage and started her part of the presentation by presenting information about a joint college fair between Northside, Von Steuben, and Disney II, which takes place on April 18. She stressed that just showing up and talking to admissions officers could be the tipping point into getting a student into a certain school. She also recommended that students search for scholarships year-round and that there is a list up on Northside’s website. To learn more about the financial aspects of applying for college, she announced that there is a Financial Aid Night coming up on May 29. She briefly mentioned the FAFSA, but that will be talked about more during the Financial Aid Night. She then talked about the different types of applications and their deadlines: Early Decision, Early Action, Priority Deadline, Regular Decision, and Rolling Admission. Getting more into the details, she mentioned the how-tos of getting teacher recommendations, counselor recommendations, and obtaining transcripts. Lastly, she talked about the importance of essays in an application. Finally, Mr. Alex Hughes, Counseling Department, wrapped up the presentation by giving students and parents an introduction to Naviance, and reminded them what their next steps in the process should be. After about two hours, the lengthy, yet important presentation was over.